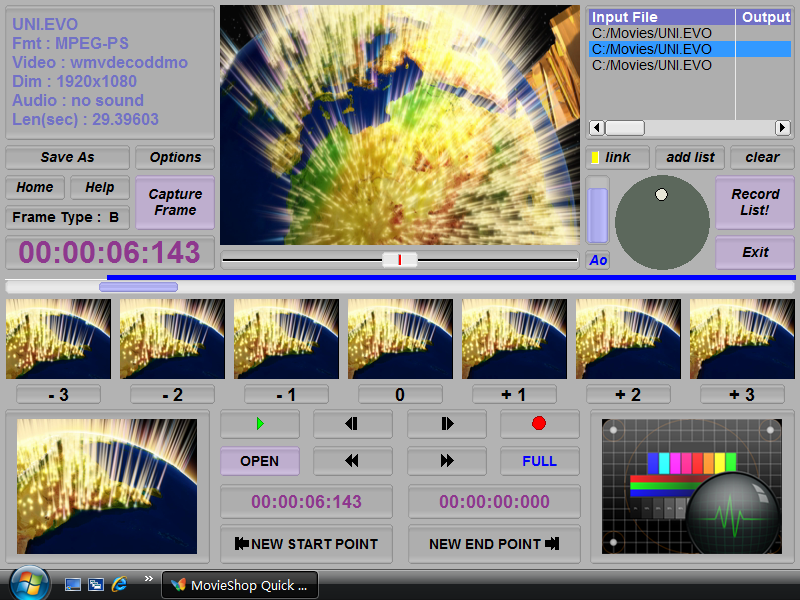 An easy-to-use video cutter, Cut videos quickly in several mouse clicks. It is a Frame Accurate video processor. You can cut movies, and output to various formats. Especially, only small part of on start and end point will be re-encoded, the middle part will remain untouched. This gives highest speed while reserving highest video quality. So called SMART CUTTER.